every corner and every edge! You’re Gonna Love Your Miele! 180 degrees of cleaning... you know, under the bed, over the couch cushions and between those hard to reach places. Yes, It’s true! 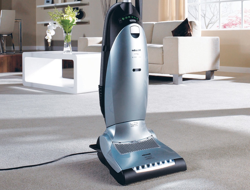 Now there is a vacuum that can actually clean every inch of your home! It’s Miele’s upright vacuum cleaners. Miele uprights have made it easier than ever to glide around every curve, every corner and every edge. It’s all made possible by Miele’s revolutionary Swivelneck™ technology. No upright vacuum has ever been so easy to use. Not only that, Miele’s uprights are super-powerful and will remove the toughest ground-in dirt, sand and grit...even stubborn pet hair! 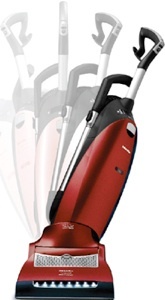 We invite you to come try one out...at your exclusive Miele dealer - Capital Vacuum.